Click on an opportunity to learn more! ​Help with career planning, guidance counseling and college application at an MK school in Asia. The ideal candidate would have experience in this field, but others with an interest or willingness to serve in this area would be considered. They should be familiar with the US university system and it would be great if they also knew about other university systems around the world. The ability to teach in some subject areas as well would be ideal. ​Are you a dynamic individual with a heart for students? Teach elementary students at an international school in Asia. Work alongside a multicultural staff team as you impact expatriate and local students for Christ through quality Christian education. Teach Bible, math, language arts, science, and social studies and be involved in other school activities at the school. ​Coordinate and teach the music program at an MK school. The teacher we are looking for will teach elementary music as well as music as a high school elective. They will coordinate the music for school events such as the school Christmas program. To be able to direct a choir would be desirable. So would the ability to teach students to play some musical instruments and direct a band or orchestra. They will also be expected to be involved in the different activities of the school. ​We are looking for a person to lead the pastoral care at an international school. They would be responsible to organize weekly chapels for elementary and high school students. They will four organize camps (one for each age level) throughout the year. They will teach a bible class and run an after-school club that promotes prayer and mission awareness. Other activities include worship nights, organizing students into small groups, informally interacting with students. They will be responsible for looking after the pastoral wellbeing of students and staff at the school. ​Serve as a tenure track professor at a seminary in Colombia in the area of Old Testament, Systematic Theology, or Practical Ministry. ​Provide specialized support for a high-functioning autistic student so that he is able to be part of a normal educational environment at an English-speaking missionary school. Participate in classes with this student during the day as you creatively make the curriculum accessible and help him complete assignments. Assist with other functions throughout the day, including transitions between classes. 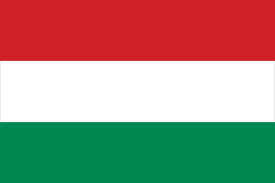 As an instructional aide, you’ll have a huge impact on this student and enable his parents to increase their ministry effectiveness in Hungary. ​Minister in Tokyo through sports! Utilize a new sports court/venue playing soccer, basketball, and tennis. Sports ministries have the ability to bridge the gap between cultures, ages and language barriers. Knowing the local language is a bonus as it enhances your ministry experience, but it is not required for a short-term stay. ​Pastors and other leaders are often overworked and stressed, and they often lack someone to talk with confidentially. Pastoral care is vital to the health of these individuals and the churches and ministries they lead. Fill this critical need by exhorting and encouraging pastors and other church leaders in Mexico. Provide missionary care and support, mentoring, discipling, and prayer to see individuals and ministries flourish. Foster community by serving as a bridge between One Mission Society and partner churches. 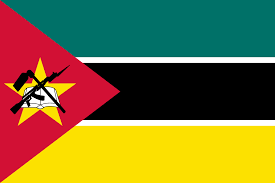 ​If you have strong analytical and mathematical skills as well as experience in the area of finances, the Mozambique field has a critical need for a treasurer. As treasurer, you will manage the field financial structure, serve as the direct liaison between the field and OMS World Headquarters with regard to all financial issues, and relate directly to the various financial institutions (seminary, school) in Mozambique on a daily and weekly basis. ​Come and teach at the Maputo Biblical and Theological Seminary where you will find students hungry to learn more about God's Word and how to use it effectively. We urgently need professors for a range of courses at Undergraduate level including Biblical Studies, Practical Ministry, Hermeneutics and Systematic Theology. ​Helping Hands is a ministry to mobilize the church in Mozambique to compassionately reach out to those with disabilities. There are varied opportunities for those called to ministry among individuals with special needs including occupational therapists, physiotherapists, nutritionists and others with skills and interest in sign language/Makaton. We are also seeking people with practical/technical abilities to support the fabrication and maintenance of wheelchairs and other mobility aids. Teach at an international school in Maputo, Mozambique. Christian Academy in Mozambique (CAM) is a K-12 school made up of more than 100 students from many different countries and continents. Teachers are needed for a variety of roles and positions at the school. Click "Request Info" to hear about current openings. 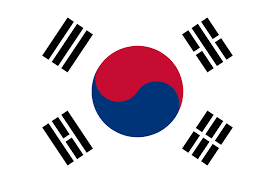 ​Serve as an English Language Guide in South Korea in July of 2019. Adventures in English (AIE) is a two-week intensive English camp that primarily serves Korean seminary students and pastors, as well as young adults. Guide students in English through worship, outreach, Bible study, and cultural understanding. Build cross-cultural friendships with Korean Christians as you help them grow in their English ability. A week of orientation is included in this opportunity to learn about Korean culture and how to teach English to Korean students. An optional week involves teaching English to refugees in South Korea. ​Lead an English worship service in partnership with a local Taiwanese church. Lead evangelistic English classes and discipleship groups. Provide quality English training while developing relationships with a local Taiwanese church community. Serve in other ministries based on your gifts and interests, such as music, English camps, outreaches, and more. ​Do you have a passion to prevent human trafficking? Conduct HOPE61 training and follow-up so that local believers are equipped to engage vulnerable people in their communities and reduce their vulnerability to becoming involved in trafficking. HOPE61 focuses on preventing trafficking through culturally-appropriate methods of intentional evangelism and continuing discipleship. HOPE61 trainers work alongside national church denominations and other partners around the world. Is your passion coming alongside others and encouraging them to reach the goals they’ve set? Do you like to provide training and facilitate learning? Do you desire to see national church planters and pastors grow in depth and see the Lord multiply churches throughout the world? Use your gifts to come alongside national pastors and encourage and hold them accountable to the plans and goals the Lord has led them in. Openings available for English or French speakers. Join Every Community for Christ, the church multiplication ministry of OMS, as a church multiplication facilitator.While continuing to live in your home country, you will travel to your assigned country or countries three to four times per year to promote church multiplication. While at home, your role will be to support the ECC ministry in your assigned country or countries through prayer, follow-up visits and preparation for the next visit.Current top needs include French speakers for African countries, as well as Spanish speakers. Do you have a passion to care for leaders and to see them grow in their faith and be better equipped and encouraged in their ministries? Do you desire to be involved in the spiritual aspect of church multiplication? Join us in helping church planting leaders reach their nations for Christ. Become an associate church multiplication facilitator (ACMF) through Every Community for Christ, the church multiplication ministry of One Mission Society.